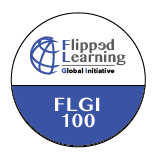 Flipgrid is a wonderful way to spark video discussion in your classroom. One of the best things about Flipgrid is how simple it is to use. There are no student accounts to worry about and students simply use their webcam on any laptop or the Flipgrid App (iOS; Google Play) on their phone to record to a discussion. Yesterday, Flipgrid rolled out some major updates. I wanted to highlight some of the ones I think are most useful to general users. Please keep in mind that when I say “topic,” that refers to the prompt that students see when clicking on the Flipgrid link you have created for the class. You can add a variety of resources to your prompt using the Topic Resources option. In addition to the written text, you can record, upload, or link to a video, upload an image, add a giphy, or add an emoji. Additionally, you can attach an external link to any topic. A potential use would be attaching a document or article that you want to discuss as a class. So students would first read the resource and then use Flipgrid to respond to the prompt that you have created. There are a large variety of extra features that have been added. When creating the topic, you can control what options you want students to have available to them. Remember that you can always go back and edit these settings. A highlight is that you now have Response Moderation at the topic level. This means that, for a specific prompt, you can choose whether you want to moderate responses before they are visible to the class. A potential way to use Response Moderation is if you want students to be required to post a response before seeing anything their classmates have posted. As the teacher, you could wait until the initial post due date to approve responses. There are also instances where you might want students responses to remain private between just you and the student (for example, have students talk about their performance on a quiz and what they will do the same/differently in the future). In this instance, Response Moderation would allow you to view all responses without them ever being visible to the rest of the class. Another feature to note is the Response Link option for students. Perhaps you want students to do some research and respond to the Flipgrid based on what they read. They could add a link to their response citing this article. As a math teacher, I like using Flipgrid to have students hover over a handwritten solution and talk out their math process. I will use the Response Link option to have students attach a link to the picture of their solution.